Teach Laugh Plan: It's Report Card Time! It's the end of our first grading period. Nine weeks already done and gone....Time flies when you are having fun! I have been real good this year and graded assignments weekly if not daily and entered them in the grade book right away so I didn't have to worry about upcoming report cards. However, I did worry about the comments I would write. I thought I would share some comments I wrote on my report cards this grading period. Sometimes it helps me to read other's comments and adjust them to my needs. *Click Here* to see report card comments. I would love to hear/see some of the comments you guys use. Just put your report comments in the comment section of this post. Thanks in advance for sharing! This is hilarious!! I was thinking the same thing on many of my comments to parents. You almost feel guilty, but I'm glad to see a teacher actually write about it on their blog! :) LOVE IT!!! Thanks! I just finished my report cards this afternoon and had to "let it out"....better on my blog than on the report cards. LOL! So happy I home-school my daughter. Thanks so much Jessica! Congrats on being a first year teacher! How exciting! I love teaching and would do it for free (don't tell my boss). It gets challenging at times but its definitely worth every bit of stress when I know I am making a difference in a child's life. I am going to email you some more report card comments that another teacher shared with me a long time ago. Hopefully you will find them useful. 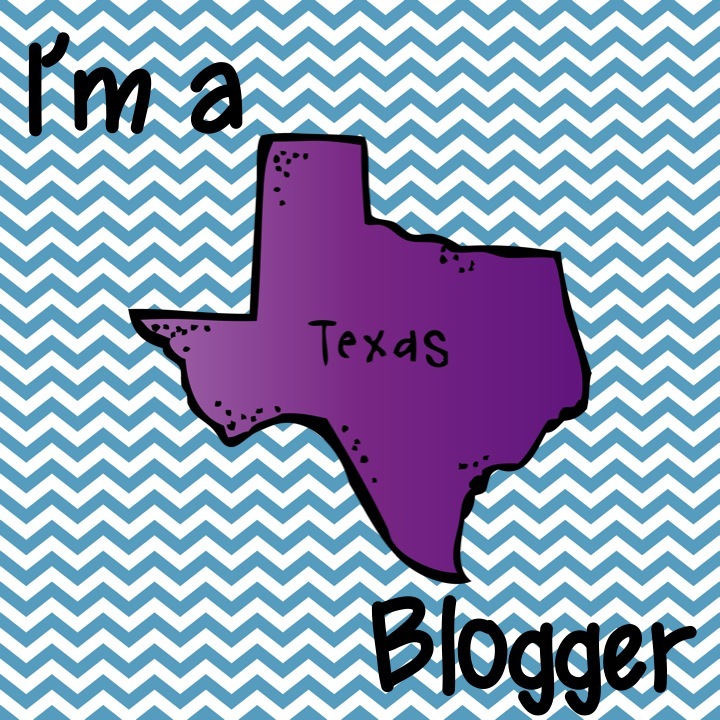 I wish I had more time to blog but as with any teacher if you have any questions or need advice, etc. please don't hesitate to contact me through email. I also update my Fabulous 4th Grade Froggies facebook page with other freebies, ideas, etc. that I find so if you aren't a fan make sure you stop by and join us. My fb fans are fabulous and love to share as well. Agreed. And sometimes the parents need the bluntness to really get the picture. I am blunt with my parents and it may shock them at first but they know my heart is in the right place and I want to push their child to excel. here are a couple of mine - you may recognize the same sentiments you shared above! ___is doing a great job in fourth grade! His math is phenomenal and he is so knowledgeable in science and social studies. He has so much to share! There are two areas that need improvement. First, ___takes many long breaks and takes a long time getting started once he returns to his seat. He would have a lot more time to finish his work if he could get started quickly. The second is independent reading. Every afternoon, we have about 30 minutes of silent reading. ___ often forgets his book or doesn’t read during this time. Can you help by reminding him to bring his book on a daily basis? It is so important that he reads during this time! ____is such a bright child! When he is focused and on task, he picks up new concepts quickly and easily. However, there are many times when he isn’t on task and misses out on important instruction. We are working on his anger management, and I would love to see him expressing his feelings by letting me know instead of taking it out physically or through disrespectful words and behavior. ____needs to work on completing every assignment. At times he can get frustrated and refuse to finish. In reading, this is why he has a low grade. I really believe that if he stays focused and maintains a positive attitude he could get all A’s! Sometimes a really do share your sentiments! Thanks for the great comment ideas, I am sure they will be a shining beacon for many of us as the first quarter draws to a close (maybe already too late fo some...lol). I used this post as part of a "Fantastic Finds" Linky Party on Thinking of Teaching. It's great! P.S. I am also following you now. Great Blog! I think, at one time or another, we all feel the sentiments you expressed. However, we are in this profession because we have a heart for the profession and the kiddos we teach. As a veteran teacher it still is difficult writing positive comments for some students but each and every one of them deserve a ray of hope! I think every teacher wishes they could write the truth on the gradecard, i.e all the stuff you crossed out. Most times we speak in code: energetic= can't sit still; enjoys being with peers= talks way too much and distracts people. Especially in first quarter, when you are just getting to know the student, your comments set the tone for the year. It is always good to put comments in the order of a positive, areas for concern, positive. For my school, we follow up with our fall conferences the week after gradecards go home, YEAH!! Any teacher who says that they don't ever think like that about their students or their student's parents is either lying or a robot. Thanks for sharing your comments! This comes at a perfect time since I have progress reports due in a week. Keep up your fabulous blog. Every teacher has thought those things, and one of the skills a teacher needs to have is tact in commenting on those special traits and situations. Shellyx6, I am sure sometimes you feel frustration with your children, but you love them anyway. It's the same with teachers! Even when some of my kids drive me crazy, I love them to pieces. As public school teachers, we also have some things out of our control. It can be very hard to love a child SO much, and see them struggling more than they need to because of parents or a home life that aren't supportive of their education and well-being. That's probably not something you experience often with your own children, but for many of the students I have taught, it is a sad reality. It doesn't make me a bad teacher to sometimes feel frustration toward things that are holding a child back from learning. In fact, I think it shows that I care. As a "seasoned educator" I immensely enjoyed your post. It takes a GREAT teacher to be able to turn those thoughts into a positive comment like you did! Thank you! There are some "people" in the teaching professional that "tell it like it is" and shoots down all the hopes and dreams a parent has for their child, and unfortunately for some children reinforces the thought they are not capable of achieving great things. My husband was just telling me as I was writing my comments that I should write a book called the real meaning behind comments. One I wrote was something like "_______ is very bright however he is off- task everyday and it disrupts his learning. As the material gets more difficult, he will need to pay attention or he risks falling behind." Thanks so much! I love to see what other teachers write. It is so very helpful. I have a high respect for the profession and a true appreciation for what teachers do every single day. I know you often go above and beyond your role. I take offense to the comment towards the parents. If a child is falling asleep in your class, I would hope you would talk to the parent before the end of the grading period. Many children are on medications for varying disorders (sometimes the parent doesn't disclose this) which can make them very sleepy. This could also be a reason for missing many classes. I hope my comment didn't come across as mean, that was never my intent. I'm just glad I home-school my daughter - she is a challenging child and would not do well in a large classroom environment. I have several children who attend public school; I hope they don't think negative things about me or my children (especially when my kid falls asleep or wets himself due to meds). I did not take your comment as offensive. I admire you for doing what is best for your child. Its a shame that you were offended by the comment that I made, about the parents of the child who falls asleep, without knowing the circumstances. I bet if you knew you would agree with me. Of course I contacted his parents. This child's parents are awful and don't care about their son....I am not going into details because it is obviously confidential but I can say that I care about this student and wish he had different parents!!!!! I am an advocate for children and only want what is best for ALL of them. Where did the REAL comments go?? I guess some people just don't have a sense of humor... I bookmarked this post so I could refer back to it as I worked on my report cards tonight... but now they're gone... I will be using some of the comments from the PDF file, but the original post was better. I will also be using Rachel (#17) comment... I have one boy that fit that to a T! Thank you for sharing this! It always takes me so long to figure out the right words. Thanks for posting your report card cooments. I am a new follower of yours. Welcome! Thank you for following! Thx alot because I am nervous because this is my last report card in 4th grade. Thank you so much for posting this. I am in the process of writing my students' comments, but I didn't really know what to say as a first year teacher. This is going to help me a lot!